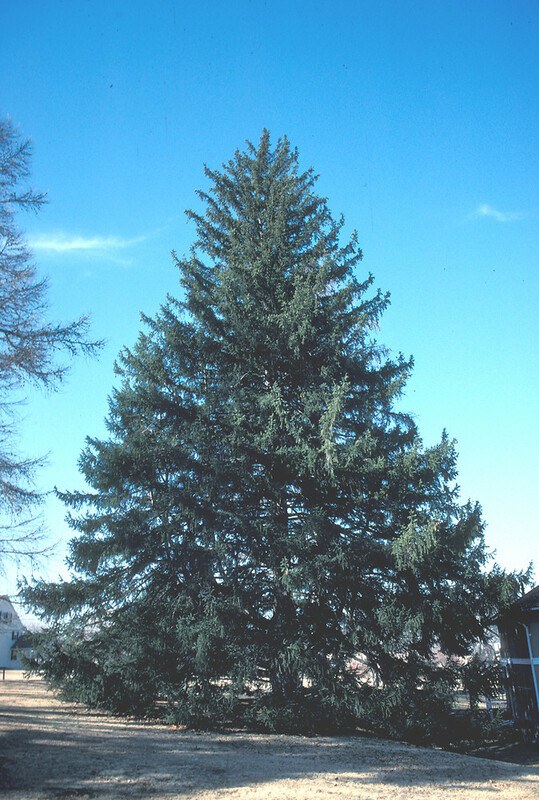 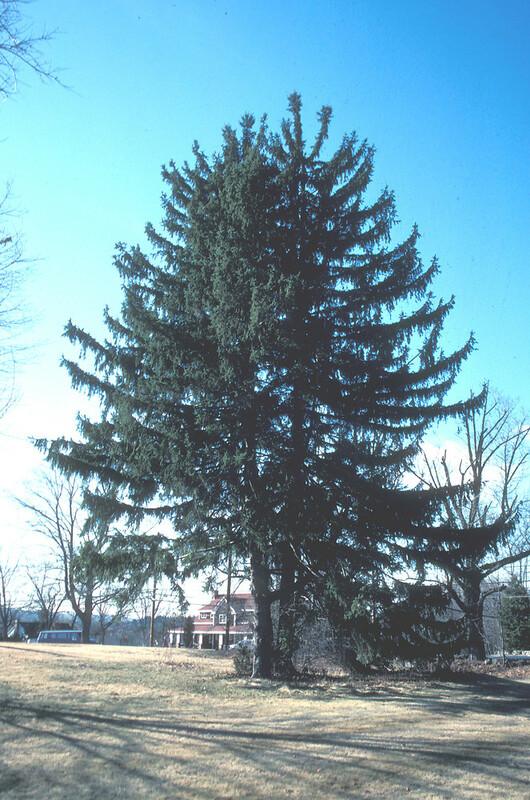 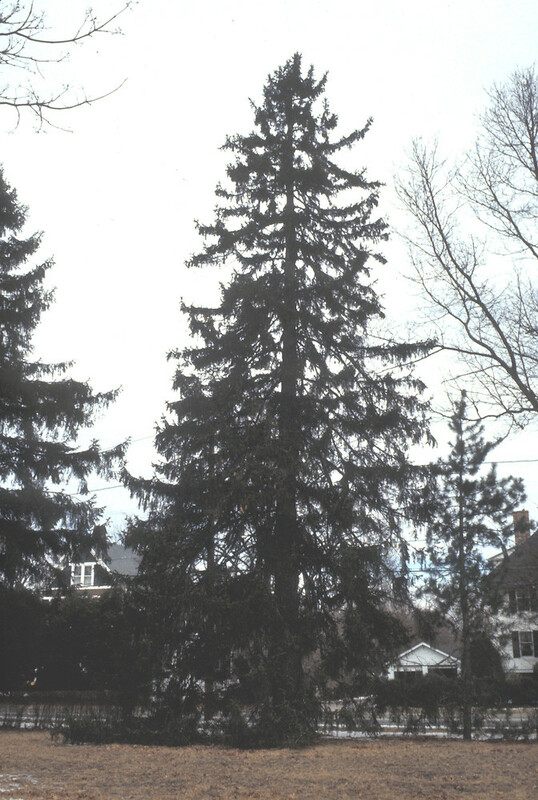 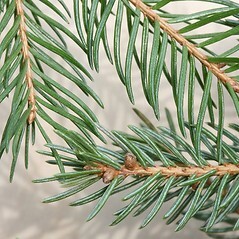 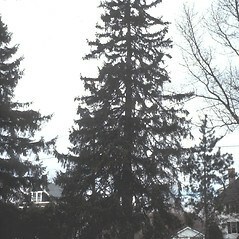 Norway spruce is easy to tell from other spruces by its large cones (5 inches or 12 cm long) and its horizontal branches laden with long, pendulous branchlets. 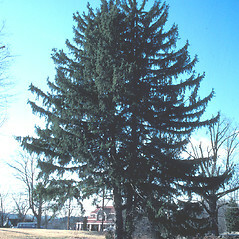 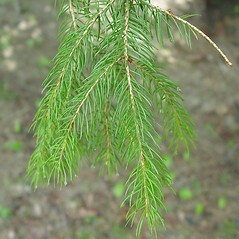 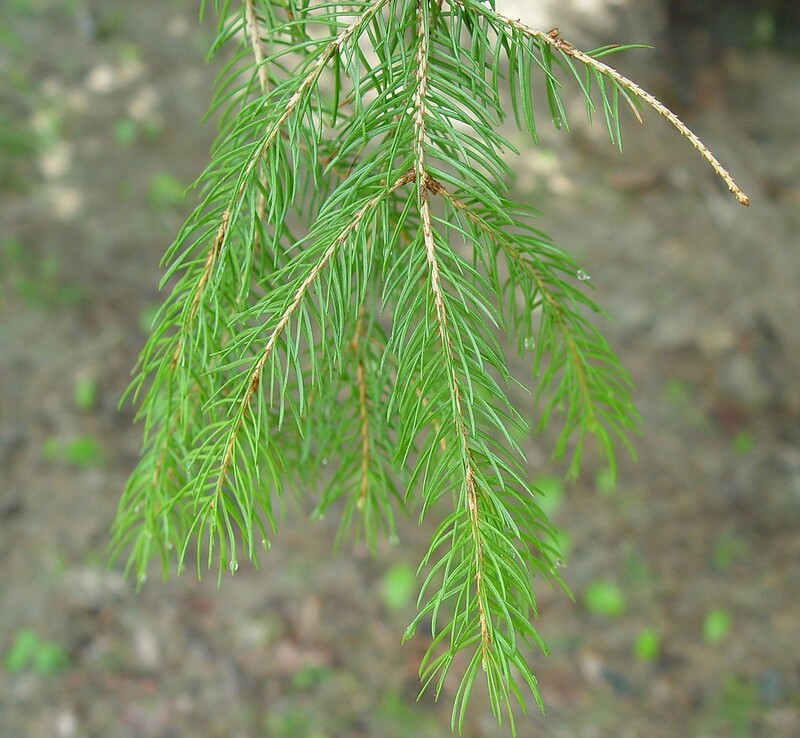 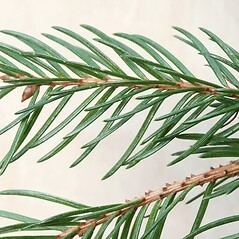 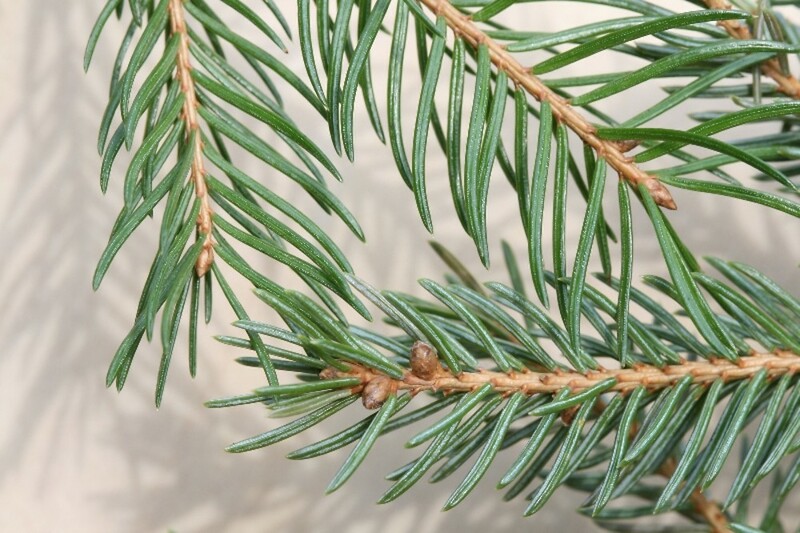 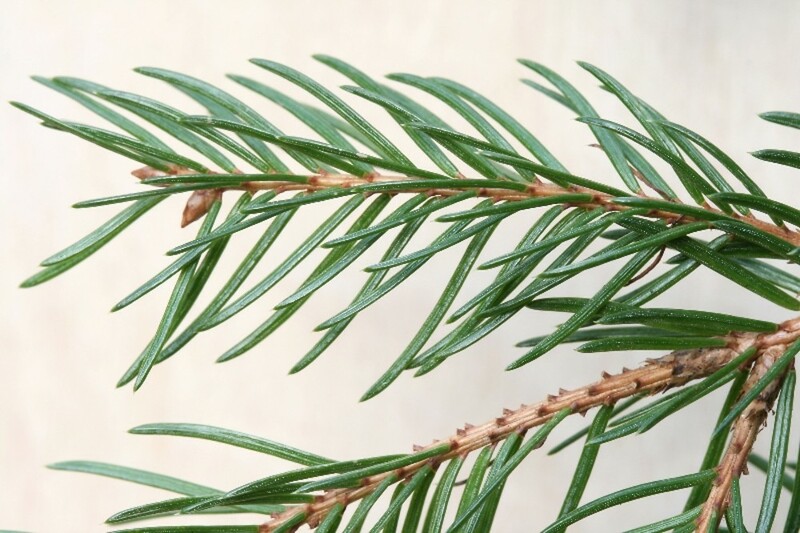 Many cultivars of this attractive spruce are available, and it is easily transplanted even as a mature tree. 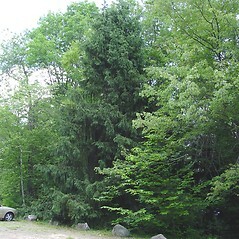 But this large tree needs plenty of elbow room to develop. 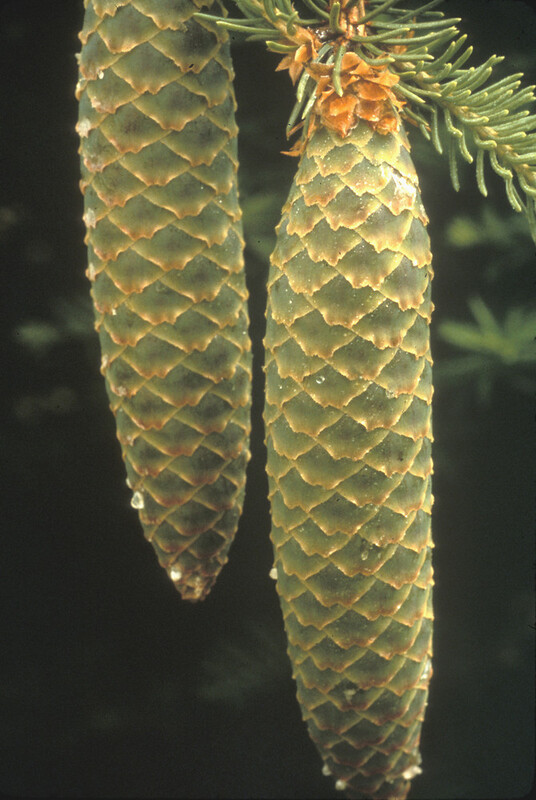 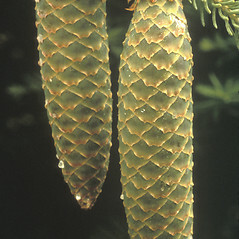 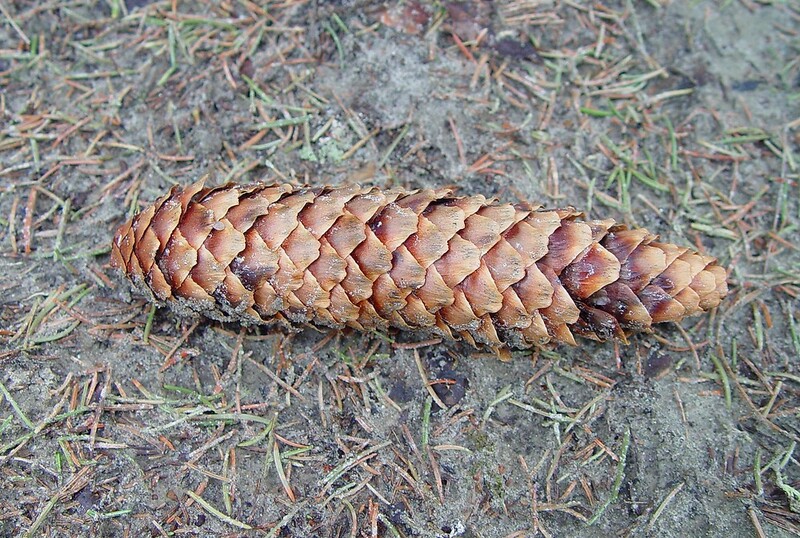 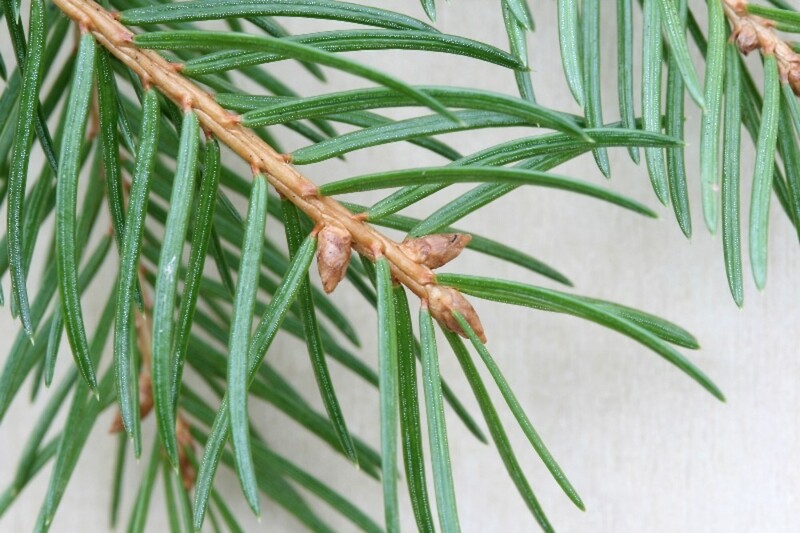 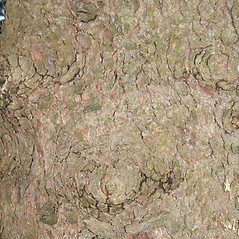 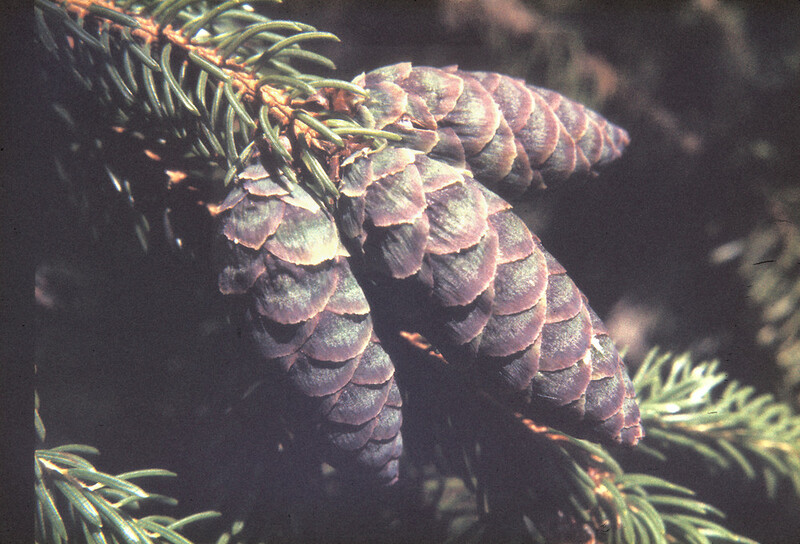 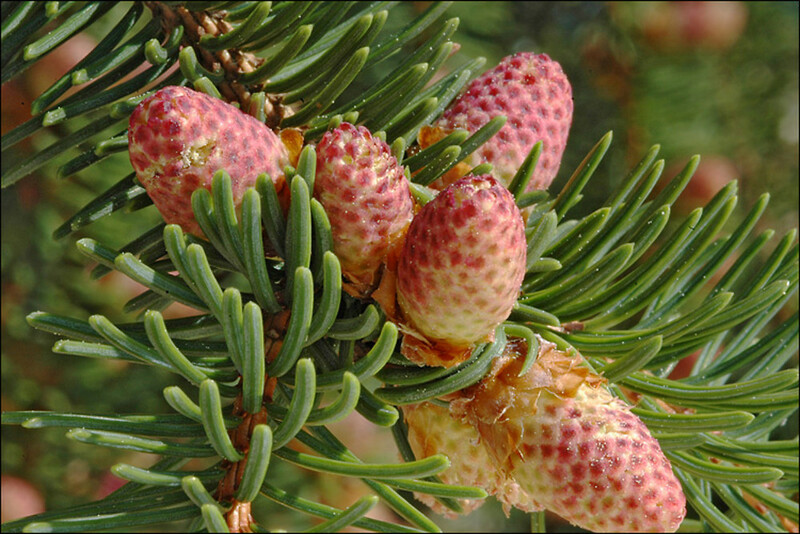 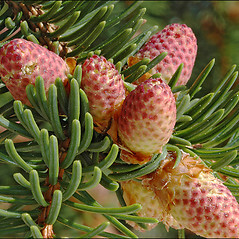 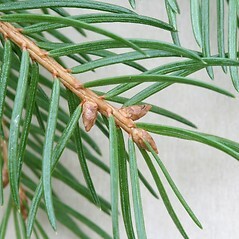 seed cones mostly 2.3-4.5 cm long, scales flabellate, widest at or very near the apex, branches ascending to spreading (vs. P. abies, with seed cones 12–16 cm long, scales elliptic to rhombic, widest near the middle, and branches conspicuously pendulous). 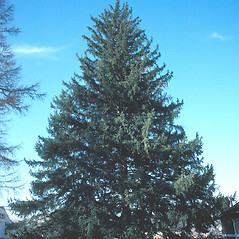 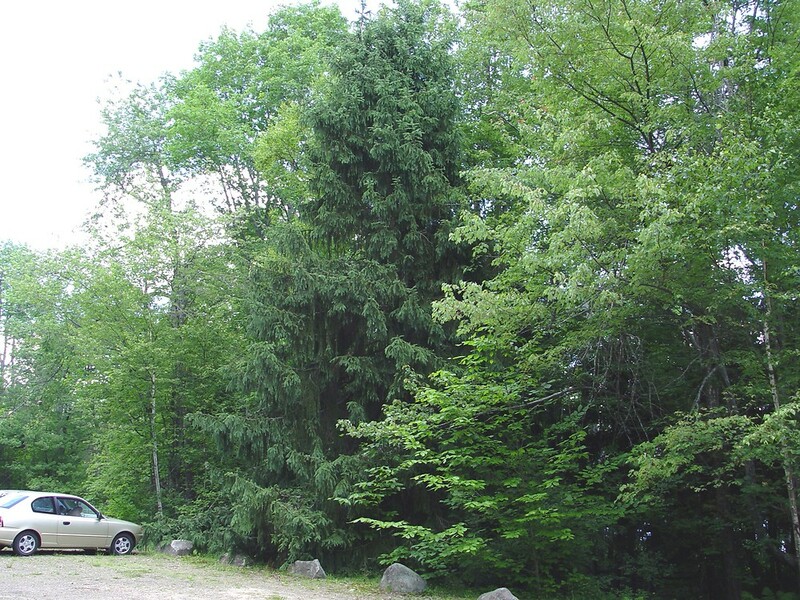 Norway spruce. 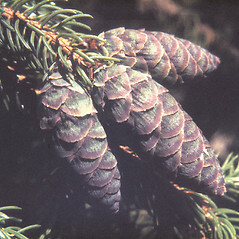 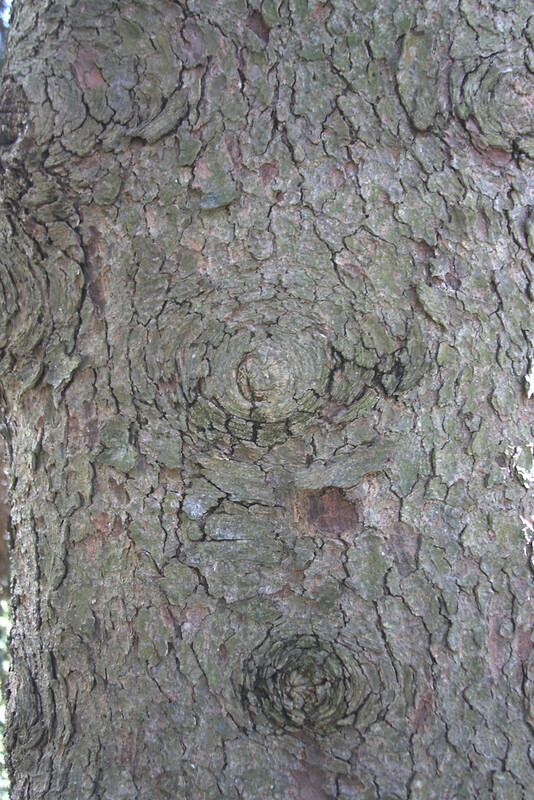 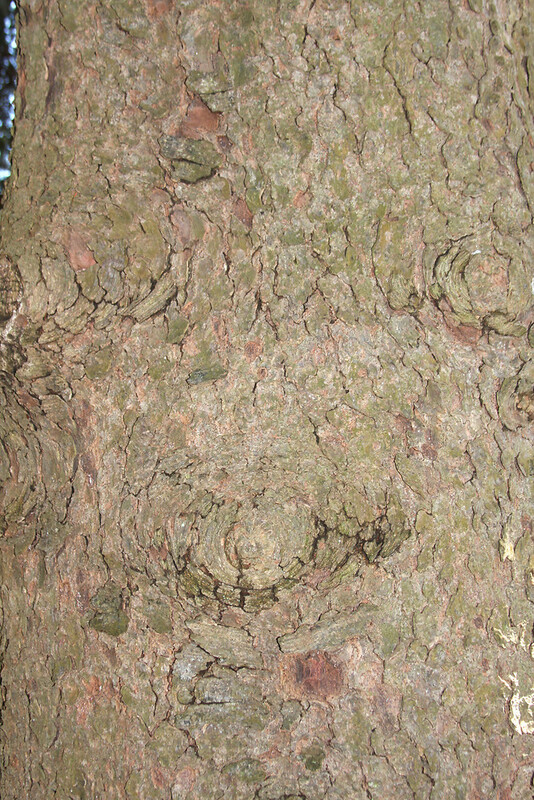 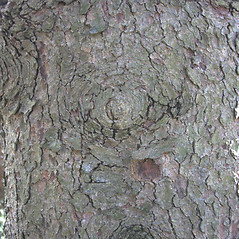 Picea excelsa (Lamb.) 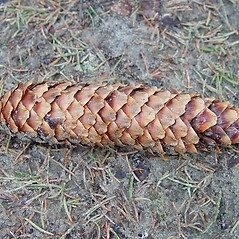 Link • CT, MA, ME, NH, RI, VT. Forests and thickets, persisting after cultivation.